Sylvia Rivera never stopped exposing Gay Inc for excluding trans people, impoverished LGBT people, homeless LGBT youth and queer people of color. 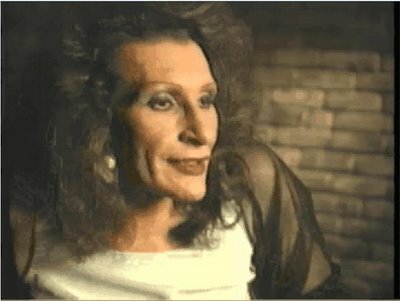 Today, July 2nd, is LGBT pioneer Sylvia Rivera’s birthday. MAGNET honors this heroic woman, who is credited by historians as being the person who “threw the first heel” in the Stonewall Inn that fateful night in 1969, when the LGBT community decided to fight back against police brutality. Rivera and many other transgender and gender non-conforming people of color at the inn that night were “guilty” of having “gender inappropriate” clothing, which is the excuse the police used to exercise their prejudice with violence. The police were surprised when the guests at the bar decided to fight back! This riot catapulted the modern LGBT movement, and Rivera and other trans people were responsible for kicking things off. Today, a new documentary is making the festival circuit called “Stonewall Uprising”. Not surprisingly, the white gay and lesbian people primarily responsible for making the film totally “white washed” what really happened, by mainly interviewing white subjects, to having only white men on the promo poster. And it gets even more inaccurate and appalling, the films totally belittles the involvement not only LGBT people of color had in initiating our movement, but it downplays the significant role trans people had in igniting the flame that Stonewall accomplished. Sorry Gay Inc, no matter how hard you try, your desperate attempt to rewrite history, therefore oppressing trans folk and people of color, will not work. There’s a new Stonewall happening, and this “oppress our own pattern” is getting harder to maintain as the people continue to speak out. Before there was Harvey Milk, there was Sylvia Rivera. If Sylvia Rivera were alive today, how would she feel about the current status of transsexual, transgender and intersex people in the LGBTQ community? How would she feel about the cries of LGBT people of color (www.getequalnow.org) who are protesting that their voices and needs are not being appreciated or included by the gay hierarchy? On this special day honoring Sylvia Rivera’s birthday, MAGNET calls on all gay and lesbian people to remember who started Stonewall, and to try to be more understanding of your trans brothers and sisters. MAGNET calls on Gay Inc to remember that it was not the privileged assimilationists who first stormed the gates making it possible for this 40 year campaign for equality, it was lower income people of color who bravely returned transphobic and homophobic violence with such a resistance that the whole world knew the LGBT community had had enough. Happy Birthday Sylvia Rivera, and thank you for taking a stand!